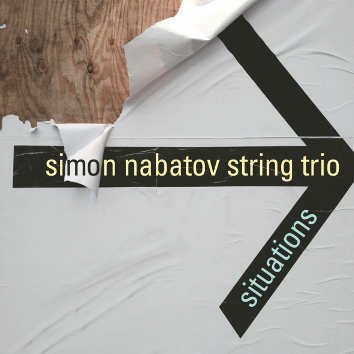 Nabatov's chamber music calls for a kind of string player only recently arrived, who is equally comfortable with complex scores and the challenges of improvising. These conditions are happily met by violist Gareth Lubbe and cellist Ben Davis, who participate brilliantly in Nabatov's compound vision - the dialectics of possibilities, the brace of the new in the embrace of the known. In a single piece, the trio moves from manic-chaotic through spiky school-of-Vienna pointillism to roller-coaster improvisation that thins out to something that might play blissfully in the background of an impossibly high-end Brazilian beach bar. Together Nabatov, Lubbe and Davis mark out fresh and delightful terrain, whether it's taut reverie, ecstatic turmoil or zones and conditions that resist any kind of naming.